Provide comfort for the family of Marjorie Matthews with a meaningful gesture of sympathy. Marjorie Matthews, age 88 of Walkerton, passed away at Brucelea Haven on Sunday, March 24, 2019. Cherished mother of Vanessa (Rob Graf) Matthews of Chepstow, Tanya (Wayne) Whynot of Stouffville, Yvonne (Jeff) Winger of Goulais River, Gail (Garry) Layton of Melbourne, Australia, and Janet (Ron) Benedict of Kitchener. Lovingly remembered by grandchildren Emma (Nathan Kieffer), Katie, Cara, Kyle (Holly), Ryan (Chantal), Diane (Ian), Cheryl (Roy Post), Michael (Robin), Jye (Diane), Benn (Karen), Shawn (Justine), Brad, and Keith (Cathy). She will be missed by her brother Frank (Shirley) Daniels, and her sister Frances (Reg) Fletcher, both of Manchester, England. 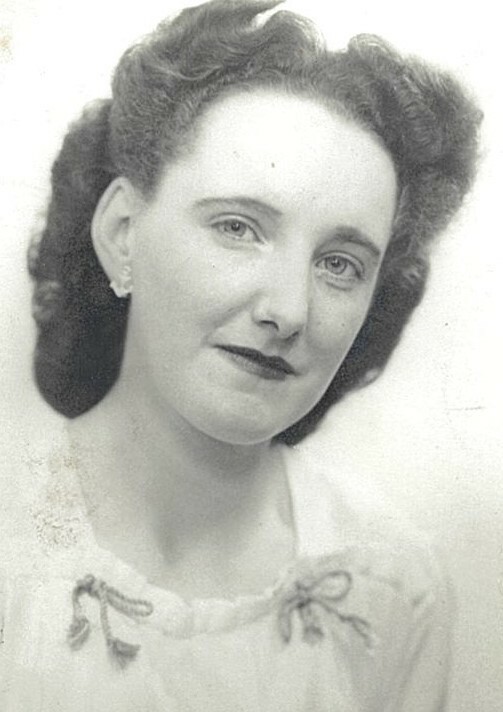 Predeceased by her husband Edward of 56 years, grandchild Tara, son-in-law John McGhee, and 10 sisters. Friends and relatives are invited for visitation from 6:00 p.m. to 8:00 p.m. on Wednesday, March 27, 2019 at Cameron Funeral Home, Walkerton. A funeral service will be held at 11:00 a.m. on Thursday, March 28, 2019 at St. Thomas Anglican Church, 305 Colborne St S, Walkerton. Rev. Rob Hiscox officiating. Interment at Maitland Cemetery, Goderich, in the spring. We encourage you to share any memorable photos or stories about Marjorie. All tributes placed on and purchased through this memorial website will remain on in perpetuity for generations. I do not know Marjorie but what a beautiful young woman she was.